Rover 75 – what did it do wrong? – HubNut – celebrating the average! Rover 75 – what did it do wrong? A month and a half. That’s how long the Rover lasted. Was it a disaster then? Well, no, it wasn’t. 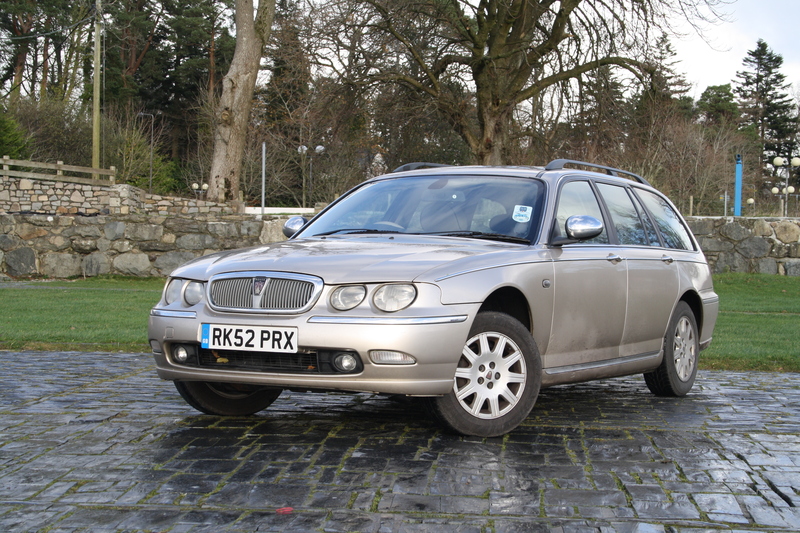 The Rover 75 remains a very good, and wrongly slated example of what the British CAN do with a bit of investment and some actual build quality. Bye Bye Rover. Not my cup of tea! The problem is though, the 75 is just too modern. It’s a right royal pain to work on, too many jobs are not DIY friendly and the overall driving experience is too modern too. I guess I just love older cars. Stuff from the 1980s and early 1990s represents absolute perfection to me. By this time, the car had advanced to the level that they were staggeringly competent, but they also were not overly complicated. That’s why the Peugeot 309 is the perfect replacement. No frills perhaps, but who really needs them? After all, electric windows require the ignition to be on (in most cases) which manual windows don’t. Hydraulic clutches are needlessly complicated. A cable is fine. Being able to heat and adjust the seats electrically might be nice, but think of the weight and wiring it adds. Then there’s visibility. The Rover 75 feels like driving around in a 1970s supercar. The windscreen is like an arrowslit, but that’s generous compared to the view rearwards. Your neck muscles develop a good workout due to the amount of movement required to see around the enormous A posts. It had reverse parking sensors fitted – and it did need them! Naturally, the driving experience is entirely devoid of sensation. That’s great if you’ve got 500 miles to do in 2 days, which I did, but those sort of trips are not a frequent thing. It’s a trade-off for sure. Relaxing or involving? You can rarely have both (I still reckon the Citroen BX is one of few cars to manage it). Running a Rover can be horrendously expensive too. I must admit to not feeling that enamoured by the car when one owner explained how he’d spent about £1800 on his in a matter of months, replacing both the engine and the automatic gearbox! Sorry, but I can’t justify that sort of expenditure on a car, especially one I’m unlikely to keep long enough to get my money’s worth out of. The Peugeot on the other hand is proving much more likeable. I’ve already had another tinkering session with it and when you can actually get at stuff, it really is a pleasure. 500 miles in 2 days? I’ve done 800+ in a day! Sometimes even in a 2CV! Yeah, our country is a bit smaller Ben! My 2CV record is 660 miles in a day – I had to travel through four countries to amass that total!